Here is a model I've been working on to develop a wall system that could be digitally fabricated and used to store wine bottles in a unique way. The module, seen on the right, was develped using the Sculpture Generator 1 by Carlos H. Sequin, at UC Berkeley. 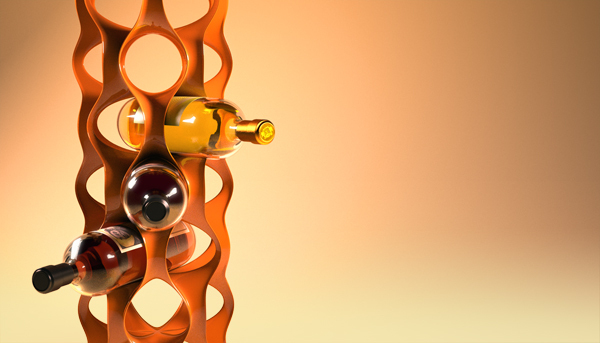 The modules could be stacked and repeated to form a series of wine rack columns, or duplicated to form a unique wall system.